Not to be confused with Andrew Wiggin. Wiggins was born in Toronto and raised in the nearby Thornhill neighbourhood of Vaughan, Ontario. He is the son of former NBA player Mitchell Wiggins, an American, and former Olympic track and field sprinter Marita Payne-Wiggins, a Canadian who is originally from Barbados. His parents met as student athletes at Florida State University. He attended elementary school at Glen Shields Public School in Vaughan. Wiggins began playing organized basketball when he was nine, joining an Under-10 team in Toronto. At the time, he was 5 ft 7 in (1.70 m). He dunked a basketball for the first time when he was 13, and a year later, he grew to 6 ft 6 in (1.98 m). That year, he shattered a glass backboard after dunking on a rim at the Dufferin Clark Community Centre in Vaughan. Wiggins attended Vaughan Secondary School in Vaughan for his first two years of high school. In his 2010–11 sophomore year, he led the school's AAAA basketball team to a 44–1 record, en route to winning the Ontario provincial championship. In the championship game, he scored 25 points and grabbed 13 rebounds, amid chants of "Over-rated!" from the crowd. In 2011, he transferred to Huntington Prep School in Huntington, West Virginia. During his junior season, he averaged 24.2 points, 8.5 rebounds, 4.1 assists and 2.7 blocks per game. As a senior, he averaged 23.4 points, 11.2 rebounds, 2.6 blocks and 2.5 assists per game. Wiggins was named the 2013 Naismith Prep Player of the Year on February 25. He was named the 2013 Gatorade National Player of the Year on March 28 as the nation's top high school player. He was the first Canadian player to be so named. In May 2013, he was named Mr. Basketball USA. He was ranked number one high school basketball player by SLAM Magazine. 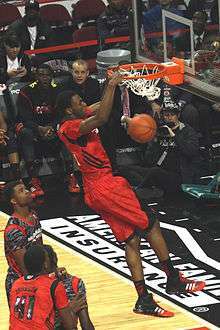 In April 2013, Wiggins played in the Jordan Brand Classic All-American game in Brooklyn. He scored 19 points and tied Julius Randle for lead scorer for the East team. 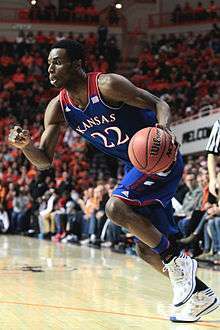 Wiggins averaged 17.1 points per game (ppg), 5.9 rebounds per game (rpg), and made 34.1% of his three-pointers in his freshman year at Kansas. On January 22, 2014, Wiggins was named a Top 25 Finalist for the John R. Wooden Men's Player of the Year award by the Los Angeles Athletic Club. On February 28, he was named one of the 10 semi-finalists for Naismith College Player of the Year. 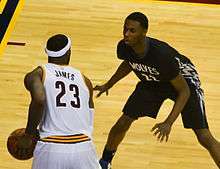 On October 29, 2014, Wiggins made his NBA debut in the Timberwolves' season opener against the Memphis Grizzlies. In 18 minutes of action as a starter, he recorded 6 points, 3 rebounds, 2 steals and 1 assist in the 105–101 loss. He went on to earn the Western Conference Rookie of the Month for games played in October and November 2014. Wiggins won the Western Conference Rookie of the Month for December as well after averaging 14.6 points and 4.1 rebounds per game. On January 31, 2015, he had a season-best game with 33 points on 14-of-25 shooting and 4 steals in a loss to the Cleveland Cavaliers. On February 13, Wiggins won the Rising Stars Challenge MVP after scoring 22 points for Team World in a 121–112 win over Team United States. On April 30, he was named the Rookie of the Year for the 2014–15 season. On October 24, 2016, the Timberwolves exercised their fourth-year team option on Wiggins' rookie scale contract, extending the contract through the 2017–18 season. On November 8, 2016, he scored a career-high 36 points and hit a career-best six three-pointers in a 119–110 loss to the Brooklyn Nets. Five days later, he set a new career high with 47 points in a 125–99 win over the Los Angeles Lakers, becoming the first Canadian-born player to score 40+ points in an NBA game. On August 20, 2015, Wiggins was named on the Canadian national team roster for the 2015 FIBA Americas Championship, a qualifying tournament for the 2016 Summer Olympics. Wiggins helped Canada win the bronze medal; he led the team in scoring with 15.1 ppg and was named on the tournament's All-Star Five team. 1 2 3 Andrew Wiggins debuts with a dunk for KU fans Archived September 26, 2013, at the Wayback Machine. ↑ "Cavs take Wiggins with No. 1 pick in NBA draft". NBA.com. 27 June 2014. ↑ Bedore, Gary (May 1, 2015). "Self 'proud' of Rookie of the Year Wiggins". Lawrence Journal-World. Lawrence, Kansas. Retrieved May 1, 2015. Minnesota Timberwolves guard Andrew Wiggins on Thursday became the second player out of Kansas University to be named NBA Rookie of the Year Award. Wilt Chamberlain earned the accolade with the Philadelphia Warriors in 1959–60. 1 2 "2012 FIBA Americas U18 Championship For Men". FIBA. Retrieved 2014-03-10. 1 2 Blair, Jeff (2013-06-28). "Blair: Time for Raptors to go all in for Wiggins". The Globe and Mail. Retrieved 2014-03-12. ↑ "Toronto-born basketball prospect Wiggins to play at Kansas". Citynews.ca. 2013-05-14. Retrieved 2014-03-12. ↑ "Will LeBron James' return mean Canadian Andrew Wiggins gets traded – canada.com". canada.com. ↑ "Thornhill's Andrew Wiggins picked No. 1 by the Cleveland Cavaliers". thespec.com. ↑ Rogers Digital Media. "Caboclo in the spotlight in Vegas Summer League". Sportsnet.ca. 1 2 MIKE GANTER (2010-12-08). "Andrew Wiggins: Canada's great basketball hope". Torontosun.com. Retrieved 2012-09-21. ↑ Anthony Lopopolo (August 11, 2014). "Andrew Wiggins Knows Exactly Where he Wants to Play in the NBA". National Post. Retrieved February 17, 2015. 1 2 3 "Canada's quest for elite basketball status begins in Toronto". The Globe and Mail. Retrieved May 31, 2016. 1 2 Andrew Wiggins' high school teammates remember star’s flashes of brilliance Toronto Star. Accessed on December 28, 2015. ↑ "Andrew Wiggins - 2013-14 Men's Basketball". University of Kansas Athletics. Retrieved 11 July 2015. ↑ Telep, Dave (2012-10-25). "Andrew Wiggins in Class of 2013". espn.com. Retrieved 2012-10-25. ↑ Sager, Neate (2013-02-08). "Hoops phenom Andrew Wiggins scores 57 points hours after scathing Sports Illustrated article". Yahoo! Sports. Retrieved 2014-03-12. ↑ "Canada's Wiggins wins Naismith award as top high school basketball player in US". Yahoo! Sports. 2013-02-25. Retrieved 2013-02-26. 1 2 Payne, Terrence. Kansas forward Andrew Wiggins first Canadian to win Gatorade Athlete of the Year, NBC Sports, July 16, 2013. ↑ Schwadron, Abe (2013-03-28). "Andrew Wiggins, Alonzo Mourning Speak About Gatorade POY Award". SLAM Magazine. Retrieved 2013-03-28. ↑ Flores, Ronnie (2013-05-08). "Andrew Wiggins Named Mr. Basketball USA". HighSchoolHardwood.com. Retrieved 2013-06-30. ↑ "SLAM Fresh 75 - 2013 - SLAMonline". SLAMonline. 24 May 2013. 1 2 Andrew Wiggins - 2013-14 Men's Basketball, KU Athletics Department. 1 2 Berman, Carl. 2013 Jordan Brand Classic, Huffington Post, April 17, 2013. ↑ Top prospect Andrew Wiggins chooses Kansas, Lawrence Journal-World, May 14, 2013. ↑ Meek, Austin. Wild chase leads Wiggins to KU, Topeka Capital-Journal, May 18, 2013. Retrieved 2013-05-22. ↑ Norlander, Matt (2014-01-14). "Embiid, Wiggins wow, make big statement in win at Iowa State". CBS Sports. Retrieved 2014-03-12. ↑ "University of Kansas Men's Basketball: #22 Andrew Wiggins". KUAthletics.com. Kansas University Athletics Department. Retrieved 19 February 2014. ↑ "Player Profile: Andrew Wiggins". ESPN.com. ESPN. Retrieved 19 February 2014. ↑ John R. Wooden Midseason Top 25+ Advanced Stats, Los Angeles Athletic Club, January 22, 2014. ↑ Kansas’ Andrew Wiggins Named to John R. Wooden Award Midseason Top 25, KU Athletics, January 22, 2014. ↑ "Top 10 National Semifinalists Named for 2014 Men's Naismith Trophy presented by AT&T". Naismith Awards. February 28, 2014. Retrieved February 18, 2014. ↑ "Kansas Jayhawks vs West Virginia Mountaineers – Recap". ESPN. ↑ Eric Prisbell and Scott Gleeson (March 31, 2014). "Kansas star Andrew Wiggins declares for NBA draft". USA Today. Retrieved 31 March 2014. ↑ "Cavaliers Sign Draft Picks Wiggins, Harris to Contracts". Cleveland Cavaliers. ↑ "Andrew Wiggins-Kevin Love trade set for takeoff". thestar.com. 22 August 2014. ↑ "Timberwolves at Grizzlies". NBA.com. ↑ "Timberwolves Forward Andrew Wiggins Named Kia NBA Western Conference Rookie of the Month". Minnesota Timberwolves. ↑ Official release (6 January 2015). "Mirotic, Wiggins named Kia rookies of the month". NBA.com. ↑ "Cavaliers at Timberwolves". NBA.com. ↑ Osborne, Ben (July 2015). "Sign O'The Times". SLAM Magazine. 22 (6). New York City: The Enthusiast Network LLC. pp. 38–24. Retrieved June 22, 2015. Wiggins went to the stripe almost 6 times a game this season [2014–2015], hitting 76 percent there, as part of a year-end stat line that read 16.9 ppg, 4.6 rpg, 2.1 apg and 1 spg, with 44 percent shooting from the field and a "mere" 41 made three-pointers total. ↑ "Andrew Wiggins leads World team past U.S. in Rising Stars Challenge". ESPN. ↑ "Timberwolves' Andrew Wiggins wins 2014-15 Kia NBA Rookie of the Year Award". NBA.com. Turner Sports Interactive, Inc. April 30, 2015. Retrieved April 30, 2015. ↑ "Wiggins, Timberwolves beat Bulls 102-93 in overtime". NBA.com. Turner Sports Interactive, Inc. November 7, 2015. Retrieved November 7, 2015. ↑ "Timberwolves blow 34-point lead, recover to beat Hawks". NBA.com. Turner Sports Interactive, Inc. November 9, 2015. Retrieved November 10, 2015. ↑ "Wiggins lifts struggling Wolves over Kings, 99-95". NBA.com. Turner Sports Interactive, Inc. December 18, 2015. Retrieved December 18, 2015. ↑ "Wiggins Scores Career-High 35 Points In Loss To Cavs". NBA.com. Turner Sports Interactive, Inc. January 8, 2016. Retrieved January 8, 2016. ↑ "TIMBERWOLVES EXERCISE TEAM OPTIONS ON FOUR PLAYERS". NBA.com. Turner Sports Interactive, Inc. October 23, 2016. Retrieved October 27, 2016. ↑ "Nets keep Wolves winless on the road with 119-110 win". ESPN.com. November 8, 2016. Retrieved November 9, 2016. ↑ "Wiggins sets Canadian single-game points record with 47 vs. Lakers". SportsNet.ca. November 13, 2016. Retrieved November 14, 2016. 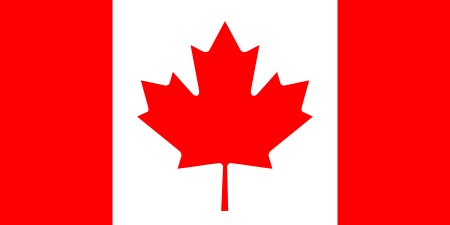 ↑ "Canada Captures Bronze Medal at FIBA Americas U18 Championship!". NorthPoleHoops.com. 2012-06-21. Retrieved 2013-05-22. ↑ "Andrew Wiggins". Canada Basketball. Retrieved 2013-07-05. ↑ Bedore, Gary (August 20, 2015). "Andrew Wiggins on Canadian national team". Lawrence Journal-World. Lawrence, Kansas. Retrieved August 21, 2015. Former KU guard Andrew Wiggins of the Minnesota Timberwolves on Thursday was one of 13 players named to the Canadian national team's roster n for the Tuto Marchland Continental Cup, Aug. 23-26 in Puerto Rico. ↑ "2015 FIBA Americas Championship For Men/Olympic Qualifying Tournament". FIBA. Retrieved 2015-09-19. ↑ "Venezuela win 2015 FIBA Americas Championship for first-ever continental title". FIBA. 13 September 2015. Retrieved 14 September 2015. ↑ "Nick Wiggins Bio". Wichita State. ↑ "Nick Wiggins Bio". Wichita State University. Retrieved 7 November 2015. Wikimedia Commons has media related to Andrew Wiggins.